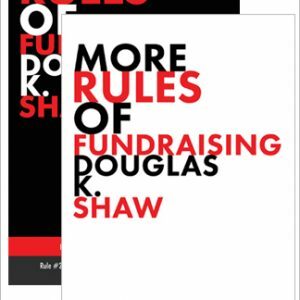 More Rules of Fundraising — a continuation of The Rules of Fundraising — is an authoritative guide for nonprofits. 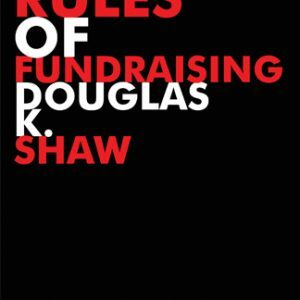 Written by Douglas K. Shaw, Founder/Chairman of the Board and CEO of Douglas Shaw & Associates, this book provides insights from years of assisting organizations around the country. 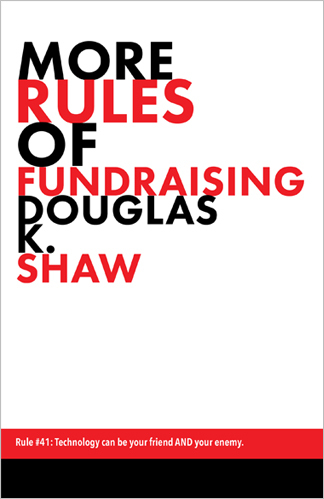 “For a guy who doesn’t like rules, I sure seem to spend a lot of time writing about them! Sheesh! So I guess I should tell you why I wrote a second volume. Quite simply, I was asked to do it by many of those who read Volume I.